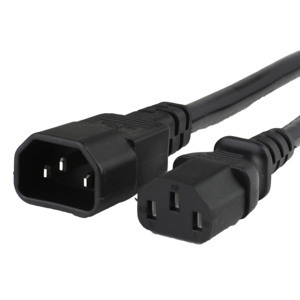 IEC 60320 C13 to C14 power cords are stocked in lengths from 1 through 50 feet. Our large selection of right length cords allows you to choose the cord that meets your requirements. These cords feature a robust SJT outer jacket for increased durability. Our standard jacket color is black. Other colors available are white, gray, blue, green, red, yellow and orange.